#1 HAND MADE AFGHAN An afghan is a woollen blanket or shawl, usually knitted or crocheted. It is sometimes also called a "throw" of indeterminate size. 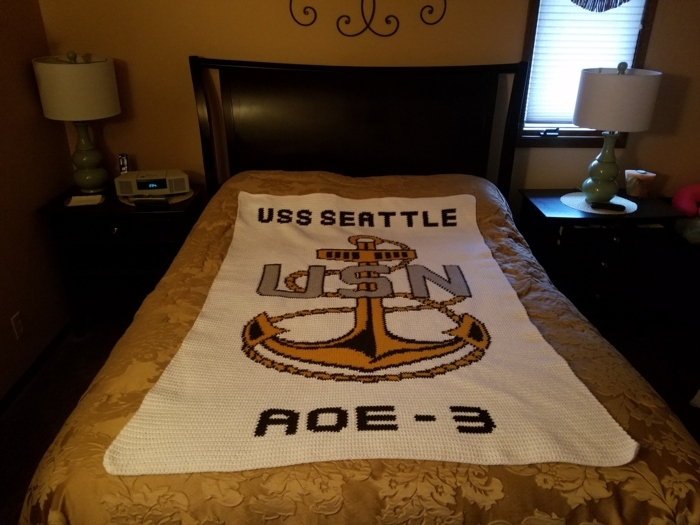 Each reunion, we are fortunate to have shipmate Dave Caldwell’s wife, Sue, hand make a beautiful afghan for us to raffle. 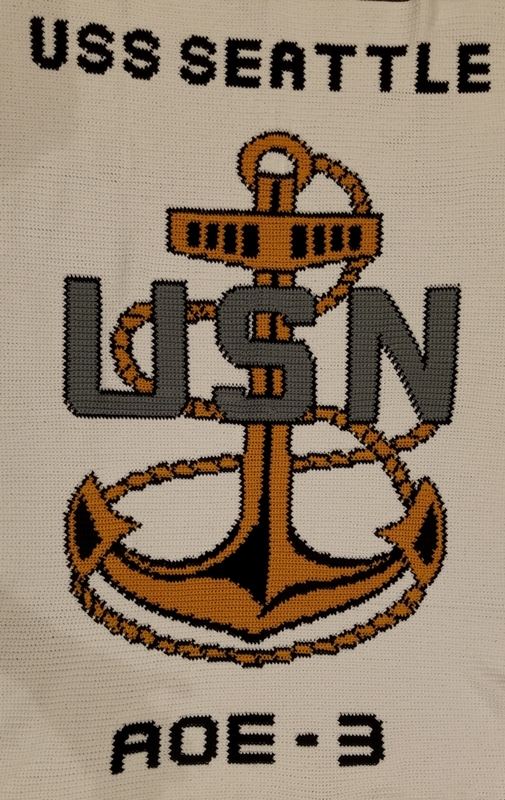 This year, we saved one to raffle on the website during the Christmas season and include all shipmates. It measures 64 inches by 42 inches. The raffle continues until Monday, December 17, at noon. We will have a live drawing, again, on Facebook at 5:00 pm central time and ship to the winner via UPS on December 18 th .